- Semi-metallic brake pads (resin used as binding material for metal particles) are half way between organic brake pads and metal brake pads. 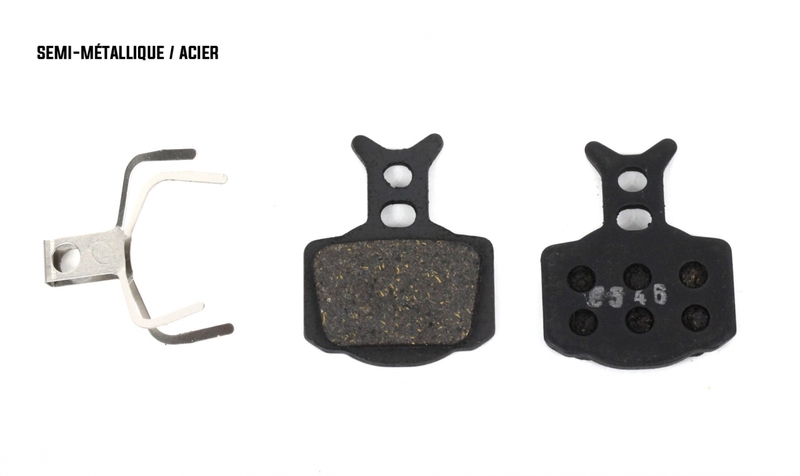 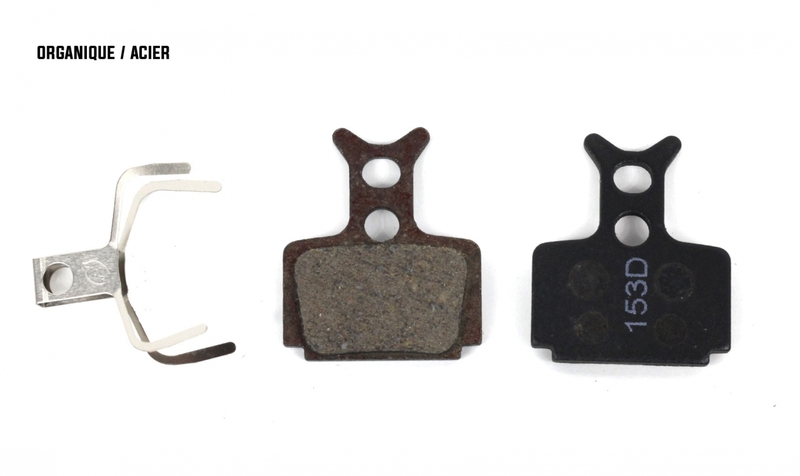 - Metal brake pads (compound of highly compacted metal particles) for good braking in all conditions, long lifespan and better tolerance to rises in temperature than organic brake pads. Better choice for long descents or muddy terrain. 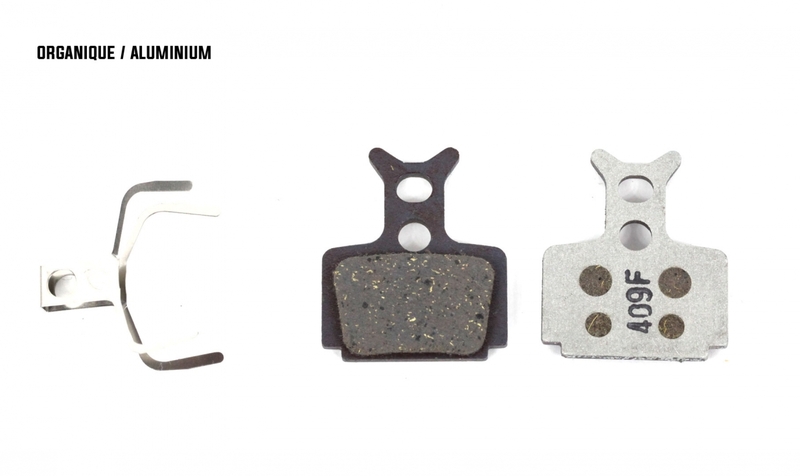 - An aluminium body has greater thermal conductivity than steel, so transmits more heat to the piston, the hydraulic oil, etc. 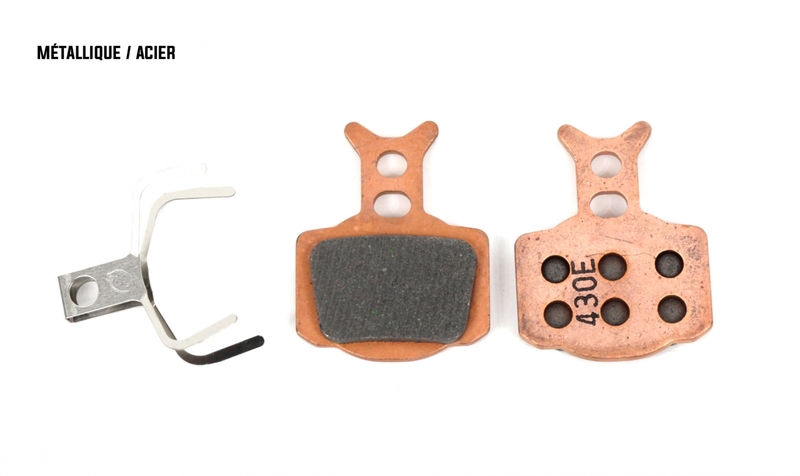 but is much lighter.